Final speed lines and shadows added. I added the shock lines around the eye in Panel 1 so that you had the impression that Kadue was shocked by the speed of the attack. 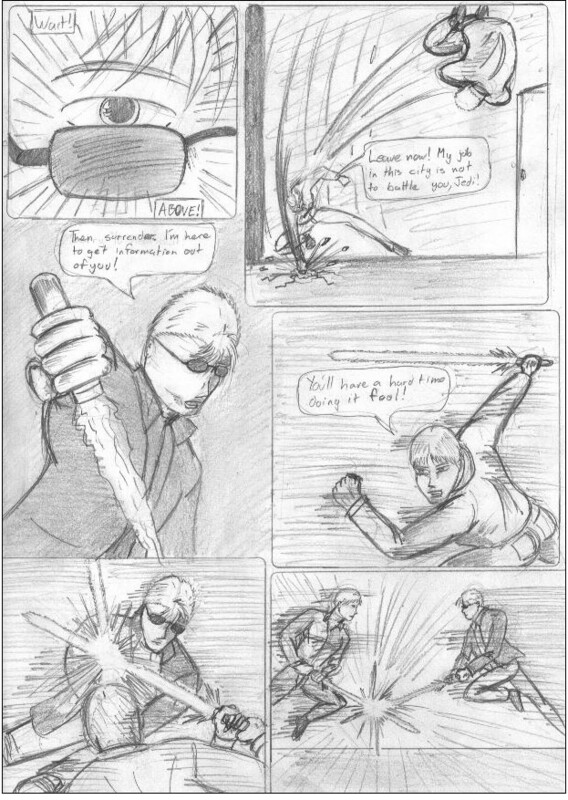 In Panel 2, I added the pavement breaking apart at the force of Magician's fist. Other than that, it's just effect lines, shading, and show on the faces. At this point I scan em, and send to Paul!